Originally published as a series of minicomics, The Chronicles of Fortune is a quirky and idiosyncratic adventure of Fortuna, the greatest superhero who could do anything to improve the world, but is tragically stricken with ennui. Coco Picard’s The Chronicles of Fortune follows the lives of Fortuna, and her alter-ego, Edith-May as they learn to cope with loss and recruit a team of friends along the way! Discover a temperamental stove, a nosy mountain, a goofy crocodile, a loner moth, and a singing goldfish as they lead Fortuna on her greatest adventure! 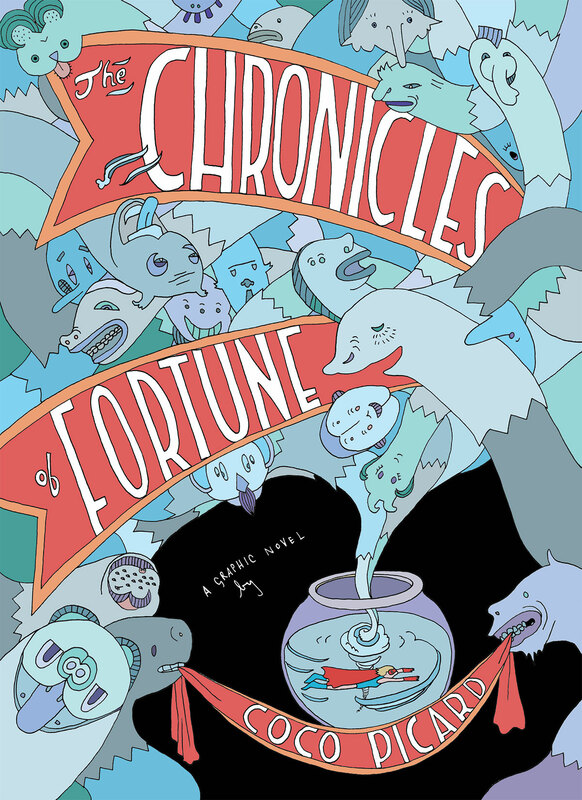 At once charming, sad, funny, poignant, and bizarre, The Chronicles of Fortune keeps a foot in mundane reality.